Whether you are purchasing a residential or commercial property in Gibraltar, or leasing a commercial unit, there are many law firms to choose from. We have compiled a shortlist of Gibraltar lawyers, with whom we work with the most, to help narrow your search. Complete your personal and transactional details below and press send. The information provided will be sent to the nominated firms (uncheck those firms you do not wish to contact). You can expect to receive a free quote via email direct to your inbox. Please note, we do not charge for introductions to lawyers nor do we earn commissions from them. A full-service law firm providing commercial and pragmatic advice to clients, both corporate and personal, with an award-winning, market leading practice based on putting clients first and matching the client’s needs to the best person for the job. 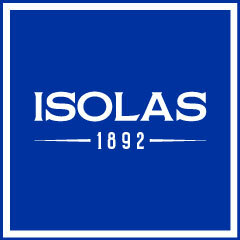 With a strong real estate department and the expertise and dynamism of a firm at the vanguard of developments in legal solutions designed to tackle an ever-evolving range of issues, ISOLAS LLP stays ahead of the curve and makes sure its clients are too. The oldest law firm in Gibraltar, with the freshest approach to business. Hassans was established in 1939 and is the largest firm in Gibraltar as well as one of the leading firm's as cited by the industries' leading independent directories, Chambers and Partners and Legal 500. Hassans' property team has played a significant part in the rapid growth of Gibraltar's property market and is involved in almost every commercial and residential development project in the territory. The firm is recognised as a leading business firm in Gibraltar and a number of the firm’s practitioners are recognised as leaders in their chosen fields by independent sources such as Chambers, Legal 500, IFLR and Practical Law. Lawyers at the firm practice as part of the fused profession in Gibraltar and the vast majority of our practitioners are English qualified in the first instance. Verralls was established in November, 1999. The firm has steadily and progressively grown and is now a highly regarded and popular medium-sized law firm with a presence in Spain, London and predominantly, Gibraltar. The firm is comprised of a young and dynamic team of highly-skilled professionals, extremely capable in their various fields of expertise. The areas of expertise covered by the firm range from company and commercial law, tax, private client, business incorporation and transfers, telecommunications, employment, family, wills and probate, civil and criminal litigation.